Suburbs of Hillsboro: Kortcamp, Schram City. Hillsboro is also known as: Montgomery County / Hillsboro city. Zip codes in the city: 62049. Some of the notable people born here have been: (william edwards huntington), (matt hughes (fighter)), (harry bellaver), (stan wallace), and (mark hughes (fighter)). It was written by The Roanoke Times & World News on December 22nd, 2018 that Betty Jean Tipsword (Seybert) died in Blacksburg, Virginia. Ms. Tipsword was 87 years old and was born in Hillsboro, IL. Send flowers to express your sympathy and honor Betty Jean's life. It was reported by The Herald on September 16th, 2018 that Gary Wayne Sacha perished in Everett, Washington. Sacha was 84 years old and was born in Hillsboro, IL. Send flowers to express your sorrow and honor Gary Wayne's life. It was noted by Centralia Sentinel on March 16th, 2018 that Theodore Edward "Ted" Carroll died in Hillsboro, Illinois. Carroll was 88 years old and was born in Sharpsville, PA. Send flowers to share your condolences and honor Theodore Edward "Ted"'s life. It was revealed by Centralia Sentinel on December 3rd, 2017 that Milo Shannon Holley perished in Hillsboro, Illinois. Holley was 42 years old. Send flowers to express your sympathy and honor Milo Shannon's life. It was noted on May 31st, 2017 that Robert M Jr "Bobby" Litaker passed on in West Alton, Missouri. Litaker was 32 years old and was born in Hillsboro, IL. Send flowers to express your sympathy and honor Robert M Jr "Bobby"'s life. It was reported by The Beacon News on October 24th, 2016 that Terry Osterhous (Baldridge) died in Hillsboro, Illinois. Ms. Osterhous was 65 years old. Send flowers to express your sympathy and honor Terry's life. It was noted by Waterloo/Cedar Falls Courier on October 21st, 2016 that Thomas "Tom" Barbatti died in Cedar Falls, Iowa. Barbatti was 70 years old and was born in Hillsboro, IL. Send flowers to express your sorrow and honor Thomas "Tom"'s life. It was noted by The Star on October 14th, 2016 that Sara Gertrude Brooks (Smith) died in Forest City, North Carolina. Ms. Brooks was 75 years old and was born in Hillsboro, IL. Send flowers to share your condolences and honor Sara Gertrude's life. It was disclosed by Centralia Sentinel on September 10th, 2016 that Robert D Frazier passed away in Hillsboro, Illinois. Frazier was 77 years old. Send flowers to express your sympathy and honor Robert D's life. It was revealed by Centralia Sentinel on August 31st, 2016 that Paygechristina Danniele miss Donaldson perished in Hillsboro, Illinois. Donaldson was 18 years old. Send flowers to share your condolences and honor Paygechristina Danniele miss's life. Consulted on August 15, 2007. The Evangelical Lutheran Synod of Illinois held its first convention in Hillsboro, October 15, 1846. The population was 4,359 at the 2000 census. 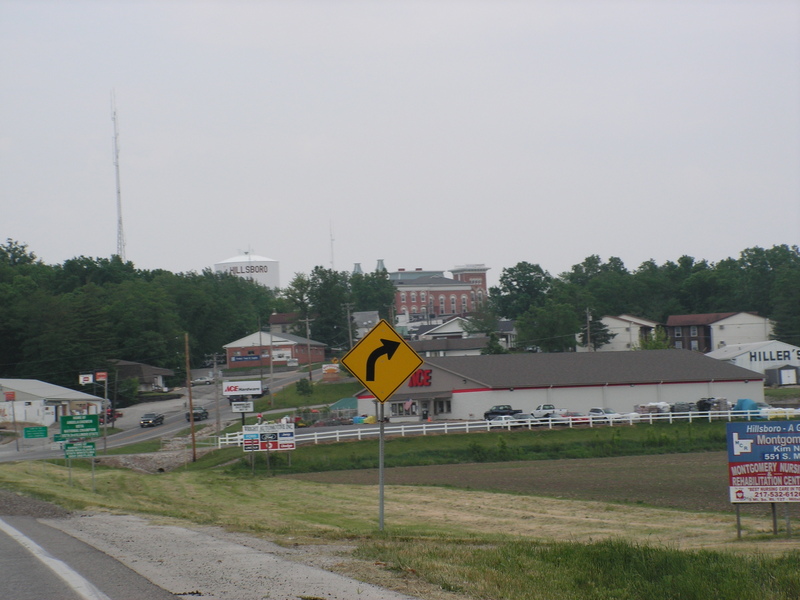 Hillsboro is a city in Montgomery County, Illinois County, Illinois, United States. It is the county seat of Montgomery County, Illinois County. Hillsboro was given its name because one of the first settling families' names was "Hillsborough". Allan H.
The official website for the city of Hillsboro is http://www.hillsboroillinois.net/. Funeral services will be 11:30 a.m. Thursday at the funeral ... She attended schools in Richland Center and graduated from Hillsboro High School. She married G. William "Bill" Seaman on Sept. 3, 1955, at First Congregational Church in Hillsboro, Wis.
Find embalmers & Embalmers in Hillsboro, IL. Read business reviews, find driving directions, and more. embalmers on YP.COM. Hough, William - Hough & Sons Funeral Home, Hillsboro, IL : Reviews and maps - Yahoo! Local, 217.532.6080. Get Ratings, Reviews, Photos and more on Yahoo! Local. Bass-Patton-Dean Funeral Home, Hillsboro, IL : Reviews and maps - Yahoo! Local, 217.532.3636. Get Ratings, Reviews, Photos and more on Yahoo! Local.